Cleaned, decorated or non-decorated, skulls available. 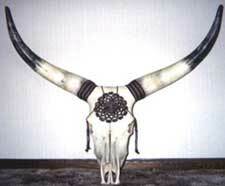 Skull prices determined by horn size, skull quality, decoration. Prices start at $85 + shipping.